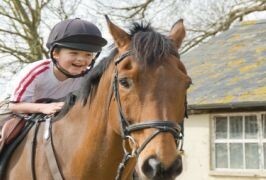 Mount Pleasant Horse Riding And Pony Trekking is one of Ireland’s leading riding and trekking centre in the heart of County Down. Whether you’re new to horseriding or you are an experienced rider, Mount Pleasnt have what it takes to get you on the right trek, with all levels of riders and experienced guides to accompany you all the way. They even allow for customers to extend the usual hour long session to make the most of their visit. They are British Horse Society Approved, Department of Agriculture Licensed and Approved and B.H.S Inspector Recommended. Beach Rides, Country Hacks, Horse Riding Holidays, Trekking in the Traffic-free Routes of Castlewellan Forest Park, Horses and Ponies to Suit Novice and Experienced Riders, Special Rates for Youth Clubs, Schools, Car Parking, Picnic area and Barbecue Facilities.